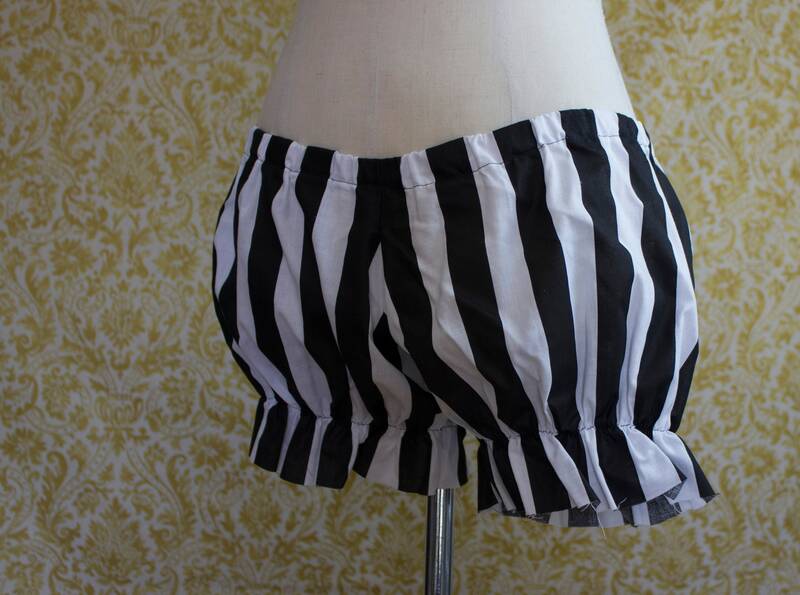 These bloomers are super comfortable. 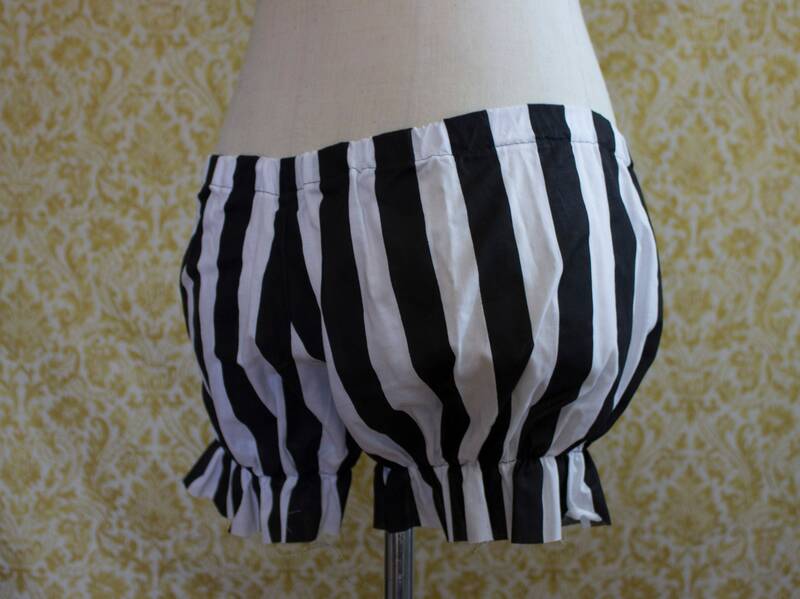 Made with 1" black and white stripe soft cotton poly blend ... These have a raw edge for a tattered grunge look. 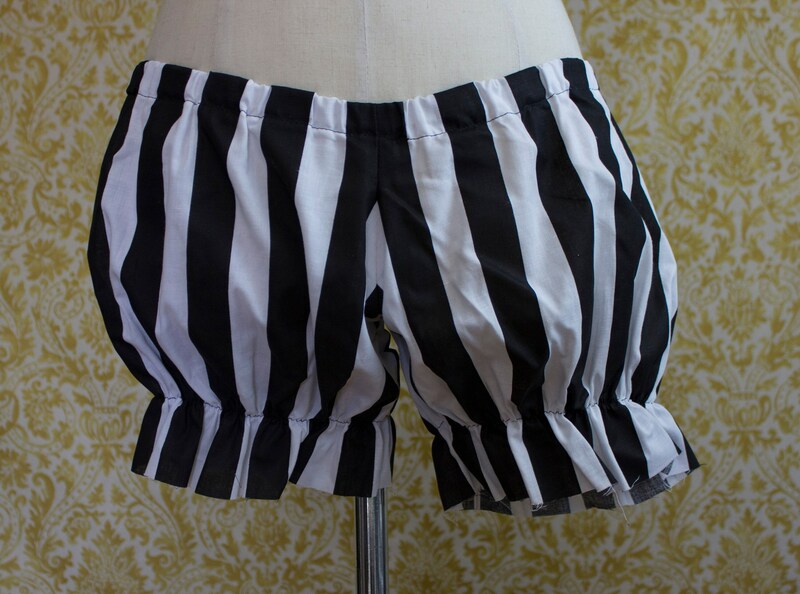 If you would like a pair with lace or a folded hem please contact me for a custom order or check out the other listings in my shop. 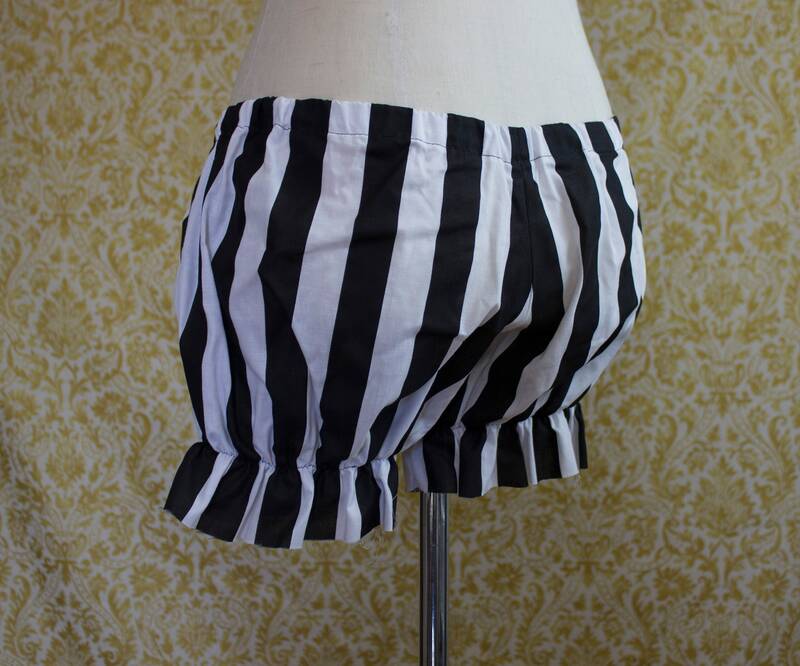 Wear them as shorts, or underneath skirts and dresses for added coverage.